Have you ever wondered why you remember certain details without even trying, yet other important information slips your mind so quickly? This is just one example of the type of questions that someone working in the field of cognitive psychology might try to answer. What Is Cognitive Psychology, and What Does It Reveal? Cognitive psychology involves the study of internal mental processes—all of the things that go on inside your brain, including perception, thinking, memory, attention, language, problem-solving, and learning. While it is a relatively young branch of psychology, it has quickly grown to become one of the most popular subfields. There are numerous practical applications for this cognitive research, such as providing help coping with memory disorders, increasing decision-making accuracy, finding ways to help people recover from brain injury, treating learning disorders, and structuring educational curricula to enhance learning. Learning more about how people think and process information not only helps researchers gain a deeper understanding of how the human brain works, but it allows psychologists to develop new ways of helping people deal with psychological difficulties. For example, by recognizing that attention is both a selective and limited resource, psychologists are able come up with solutions that make it easier for people with attentional difficulties to improve their focus and concentration. Findings from cognitive psychology have also improved our understanding of how people form, store, and recall memories. By knowing more about how these processes work, psychologists can develop new ways of helping people improve their memories and combat potential memory problems. For example, psychologists have found that while your short-term memory is quite short and limited (lasting just 20 to 30 seconds and capable of holding between five and nine items), rehearsal strategies can improve the chances that information will be transferred to long-term memory, which is much more stable and durable. 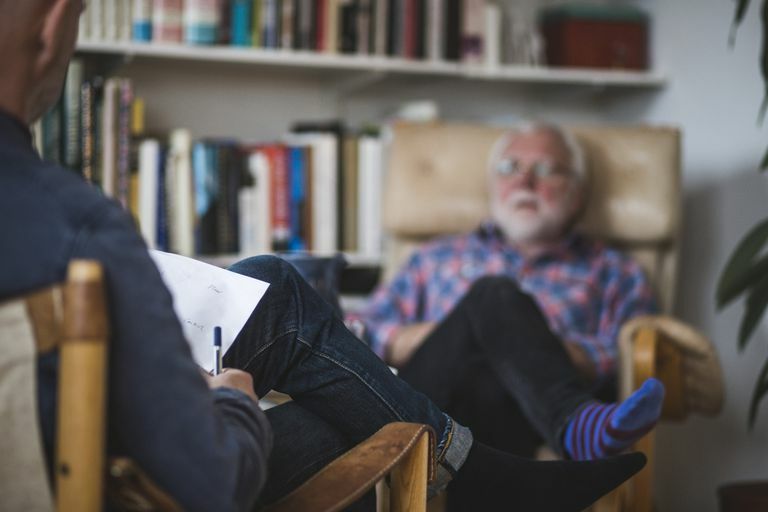 While many cognitive psychologists specialize in research and are employed by universities or government agencies, others take a clinical focus and work directly with individuals who are experiencing challenges related to different mental processes. They may work in hospitals, mental health clinics, or private practices. Psychologists who work in this area often focus on a particular area of interest such as memory, while others might instead choose to work directly on specific health concerns related to cognition, such as degenerative brain disorders or brain injuries. The work of cognitive psychologists is essential for helping people who have experienced issues with mental processes. While we tend to take abilities such as attention and problem solving for granted, perhaps because they are so woven into the fabric of our everyday existence, cognitive disruptions can create havoc in multiple areas of an individual's life. Attention problems can make it difficult to focus at work or at school. Even relatively minor memory problems can make it a struggle to handle the demands of everyday life. Consider, for example, how negative thinking can interfere with your health and happiness. We all experience these negative thoughts from time to time, but some people may find themselves overwhelmed with pessimistic thinking patterns that make it difficult to function in daily life. These ruminations can lead to increased stress levels, pessimism, and self-sabotaging, and can even contribute to feelings of learned helplessness. With the help of cognitive psychologists, people are often able to find ways to cope and even overcome such difficulties. Therapy treatments rooted in cognitive research focus on helping people change these negative thinking patterns and replace such thoughts with more positive and realistic ones. In addition to adding to our understanding of how the human mind works, the field of cognitive psychology has also had an impact on approaches to mental health. Before the 1970s, many mental health approaches were focused more on psychoanalytic, behavioral, and humanistic approaches. The so-called "cognitive revolution" that took place during this period put a greater emphasis on understanding the way people process information and how thinking patterns might contribute to psychological distress. Thanks to research in this area by cognitive psychologists, new approaches to treatment were developed to help treat depression, anxiety, phobias, and other psychological disorders. Cognitive behavior therapy and rational emotive behavior therapy are two methods in which clients and therapists focus on the underlying cognitions that contribute to psychological distress. Using these methods, therapists can help clients identify irrational beliefs and other cognitive distortions that are in conflict with reality and then aid them in replacing such thoughts with more realistic, healthy beliefs. If you are experiencing symptoms of a psychological disorder that would benefit from the use of cognitive approaches, you might see a psychologist who has specific training in these cognitive treatment methods. These professionals frequently go by titles other than cognitive psychologists, such as psychiatrist, clinical psychologist, or counseling psychologist, but many of the strategies they utilize are rooted in the cognitive tradition. If you're unsure of a practitioner's discipline or approach, just ask him or her. Being diagnosed with a brain or cognitive health problem can be frightening and sometimes confusing, but it is important to remember that you are not alone. By working with your doctor, you can come up with an effective treatment plan to help address brain health and cognitive problems. Your treatment may involve consulting with a cognitive psychologist who has a background in the specific area of concern that you are facing, or you may be referred to another mental health professional that has training and experience with your particular illness. You may find it helpful to learn as much as you can about your initial diagnosis and to consider putting together a list of questions you have before your next visit with your physician, cognitive psychologist, or mental health professional. This can help you feel better prepared and ready to tackle the next steps in your treatment. As you can see, the field of cognitive psychology is both broad and diverse, yet it touches on so many aspects of daily life. Research on cognitive psychology may at times seem academic and far-removed from the problems you face in everyday life, yet the findings from such scientific investigations play a role in how professionals approach the treatment of mental illness, traumatic brain injury, and degenerative brain diseases. Thanks to the work of cognitive psychologists, we can better pinpoint ways to measure human intellectual abilities, develop new strategies to combat memory problems, and decode the workings of the human brain—all of which ultimately has a powerful impact on how we treat cognitive disorders. The field of cognitive psychology is a rapidly growing area that continues to add to our understanding of the many influences that mental processes have on our health and daily lives. From understanding how cognitive processes change over the course of child development to looking at how the brain transforms sensory inputs into perceptions, cognitive psychology has helped us gain a deeper and richer understanding of the many mental events that contribute to our daily existence and overall well-being. Neisser, U. Cognitive Psychology. Meredith Publishing Company; 1967. Selby EA, Anestis MD, Joiner TE. Understanding the relationship between emotional and behavioral dysregulation: Emotional cascades. Behaviour Research and Therapy; 2008. Seligman, M.E. (1972). Learned helplessness. Annual Review of Medicine, 23,(1), 407–412. Sternberg, R.J., & Sternberg, K. Cognitive Psychology. Boston, MA: Cengage Learning; 2016.